International attendees may need a letter of “invitation” in order to obtain a visa to visit the United States. We strongly advise to start the visa application process as early as possible. Kindly note: the event organizers will not be able to contact or intervene with Embassy or Consulate offices on your behalf. Step One: Submit your proposal through our database. The auto-generated email notifying you that your submission was successfully received is not an official acceptance of your proposal. All conference attendees must have their proposals accepted by their respective subject area chairs. This notification will come from the area chair as an official email from the organization. Payment: Payment is accepted by online credit/debit card or by bank transfer using our PayPal online payment gateway. If you pay by bank transfer you MUST pay all the fees; otherwise, your registration cannot be accepted. Credit/Debit Card or Bank transfers may not be used for payment for onsite registration all conference fees must be paid in advance. Details for how to pay conference registration fees via bank transfer using PayPal can be emailed to you upon request. A letter of invitation will only be sent after all conference fees have been paid. Conference Registration Payment Rates and Due Dates can be found at: http://southwestpca.org/conference/registration/. A letter of invitation is issued solely for the purpose of assisting participants with visa applications and/or to obtain funding for their attendance at the conference. Such a letter does not imply any financial obligation on the part of the conference organizers. If you require a letter of invitation, please register and pay for the conference. 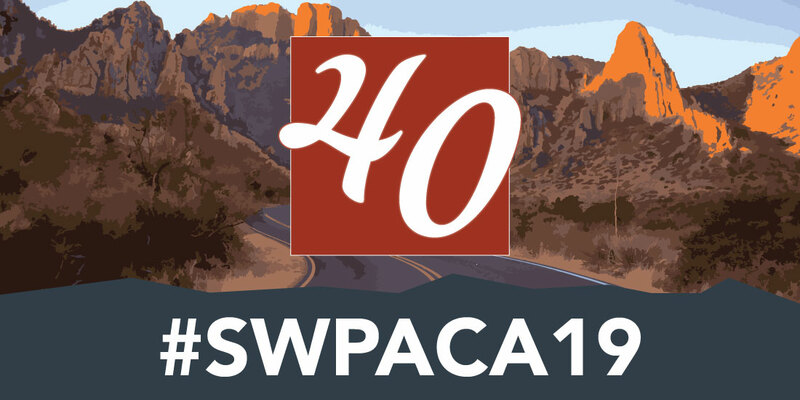 Once the payment has been received, all requests for Letters of Invitation should be addressed by email directly to the 2016 SWPACA Conference Coordinator, Tamy Burnett, at tburnett@southwestpca.org and copied to kshapiro@southwestpca.org. You should also indicate briefly which conference subject areas’ panels you particularly want to attend, and why. Please note that in the absence of the above mentioned information, or if you are not an accepted conference presenter, we will not be able to process your request. It is the traveler’s responsibility to check and confirm current visa requirements to enter the United States. To see if you require a visa, please visit Travel without a Visa. The Conference Organizers cannot be held responsible for travelers that do not confirm their visa requirements or obtain the appropriate paperwork for travel to the conference. For additional information traveling in the United States, consult the US State Department Website: https://travel.state.gov/content/visas/en.html. Disclaimer: This procedure is intended to assist participants who need to obtain a visa to attend the conference and is not an official invitation covering fees and/or any other expenses or financial support for attendance. The organizers can assume no responsibility for the outcome of your visa application. * Conference registration fees and or exhibitor fees are refundable (less the designated administrative fee of $100) if the visa application is denied. The refund request must be received in writing 14 days before the conference start date. No refunds will be made for cancellations received after that date. **Subject to changes in United States banking regulations regarding international bank transfers.